Activate L!VE kicked off 2018 with two very important guests this Wednesday, IAM General Counsel Mark Schneider and new Organizing Director Vincent Addeo. Among the topics, Schneider discussed recent National Labor Relations Board rulings and the challenges facing workers today and Addeo emphasized the importance of IAM shop stewards as organizers. Join us next week when topics will include the upcoming AFL-CIO Dr. Martin Luther King Jr. Civil and Human Rights Conference. 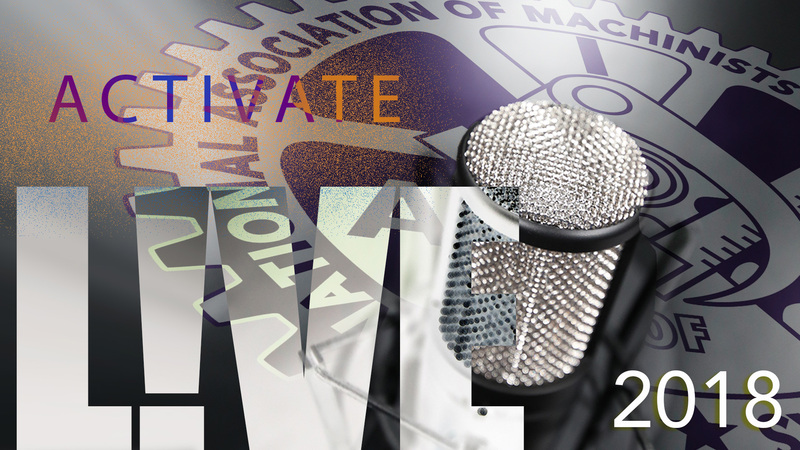 Activate L!VE webcasts live each Wednesday at 3p.m. EST.